It seems difficult to believe now given the current state of the market, but Sauternes was the most sought-after and most expensive Bordeaux at the turn of the 20th century. This Cellar Favorite hails from that era, testament to the greatness and unerring longevity of Sauternes...and it does not have to begin with the 25th letter of the alphabet. Château d’Arche might not be the best-known Sauternes, although it has aristocratic beginnings. The estate was founded by the Comte d’Arche in the 18th century. It was listed as a deuxième cru in the 1855 classification only because a division enforced by the Revolution had lessened its importance. At the time the proprietor was “Bastit-Saint-Martin” and all I can tell you that Comte d’Arche won a “diploma of honour” at the Milan International expo in 1906. 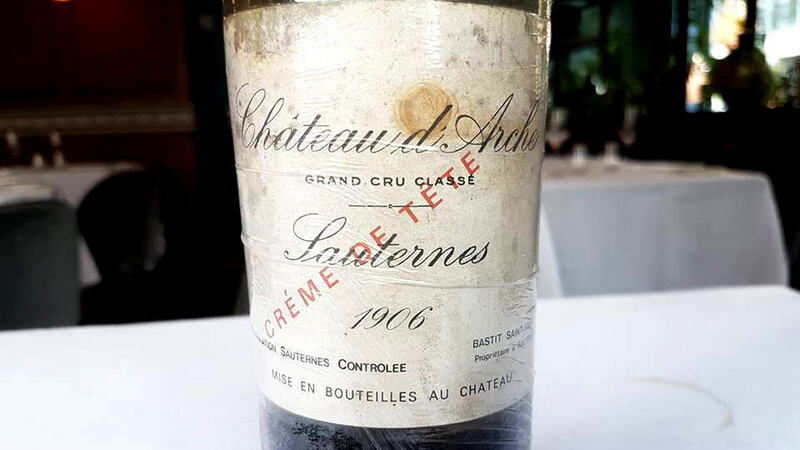 For many years the château produced a Crème de Tête although I can only presume this was a selection from the choicest parcel in great vintages, and 1906 was a bona fide stupendous, if now forgotten, Sauternes vintage. I thank Mr. D for sharing this bottle.